Zofnat Ozeri is a textile designer in Ramat Gan, Israel who creates hand painted paper jewelry that stopped me in my tracks when I first came across her work on Instagram. 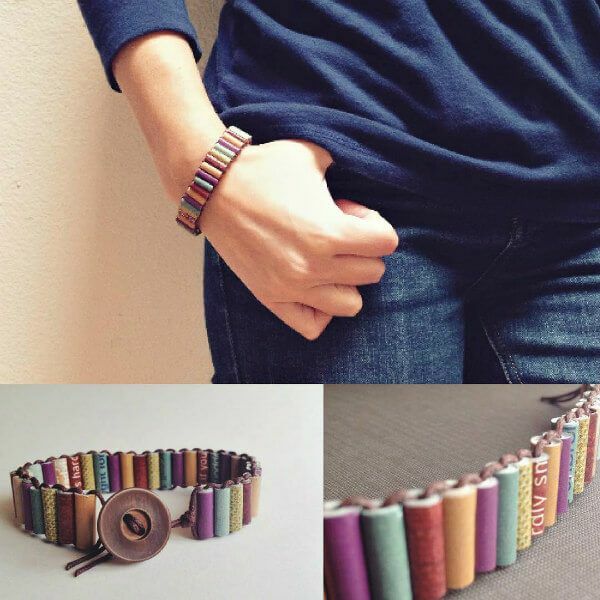 She describes these necklaces as small paper pieces that are braided together and hardened with a special technique. See a variety of choices in Etsy shop, ZOFNAT. 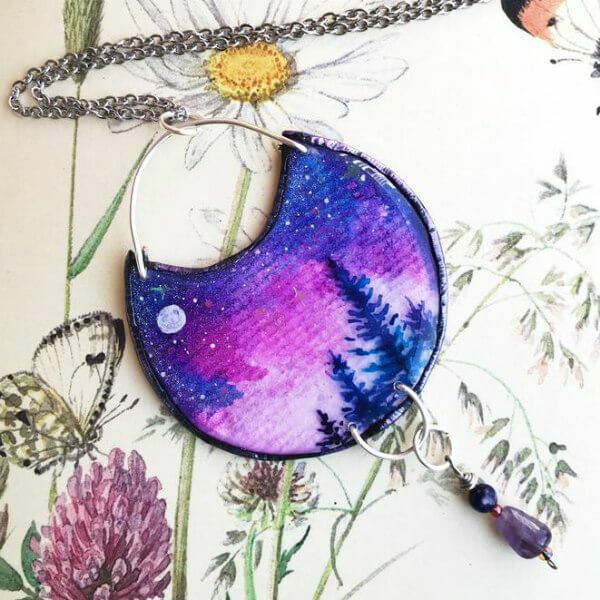 Joy of Moon Joy Creations in upstate New York is a full-time teacher who spends evenings and weekends hand painting one-of-a-kind designs that celebrate nature and spirituality. 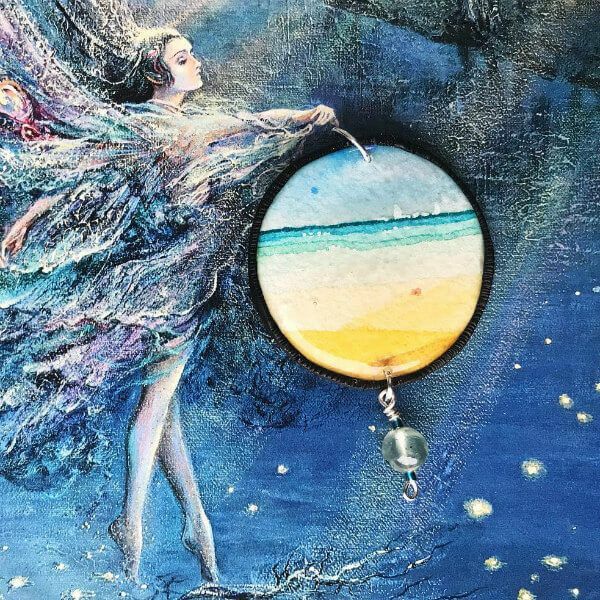 A fan of watercolors, it's no surprise Joy's work appeals to me... I was like a kid in a candy shop trying to decide which of her pieces to share with you. Joy takes the time to also paint the back of each resin-protected piece so it is nearly as special as the front. See more of her mini-paintings as shared on Instagram (@moonjoycreations) and in Etsy shop Moon Joy Creations. I'm willing to guess you've never seen paper beads like these! I sure hadn't, but am now addicted to looking at the Instagram feed of Laura Honse where she frequently posts bright bursts of color interspersed with landscape images photographed near her home in San Miguel de Allende, Mexico. 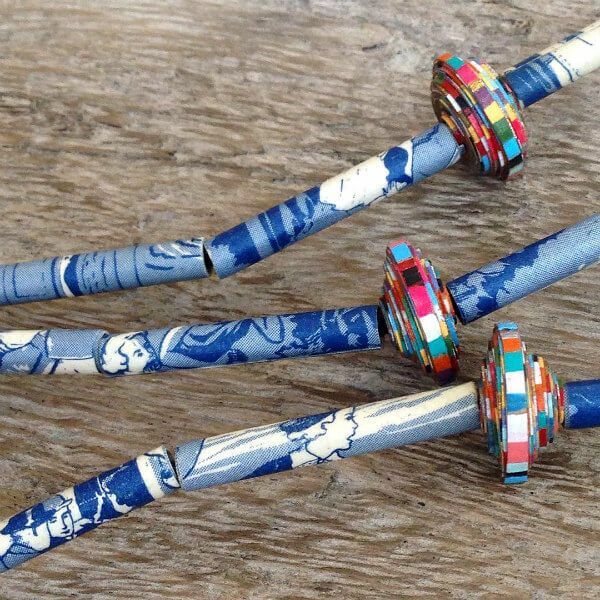 The blue and white beads that resemble Chinese pottery were made from strips cut from end covers of old Nancy Drew mystery books. Having been raised in Brazil, Laura explains that her art is influenced by indigenous tribes and vivid jungle colors. 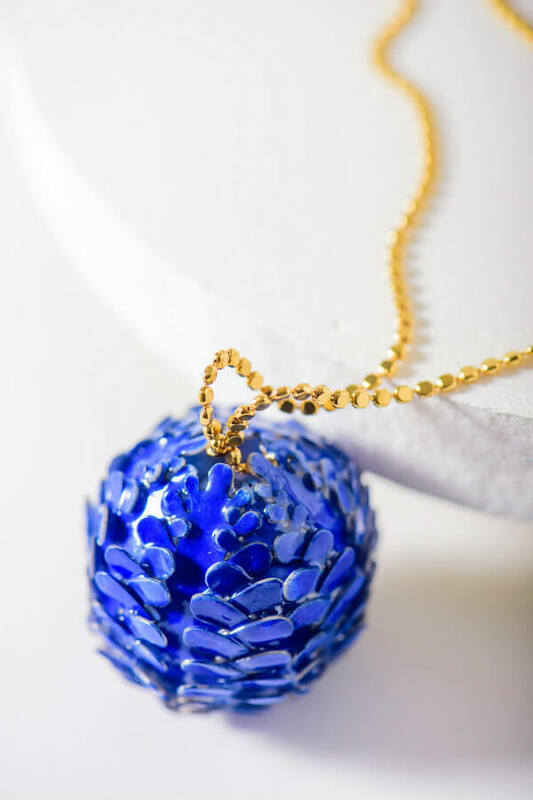 She has lived in a number of countries and studied in the U.S. at Rhode Island School of Design where she graduated with a BFA in painting and photography... these beads bring the concentrations together in an eye-catching way. Laura's Etsy shop is Laura Honse DESIGN. 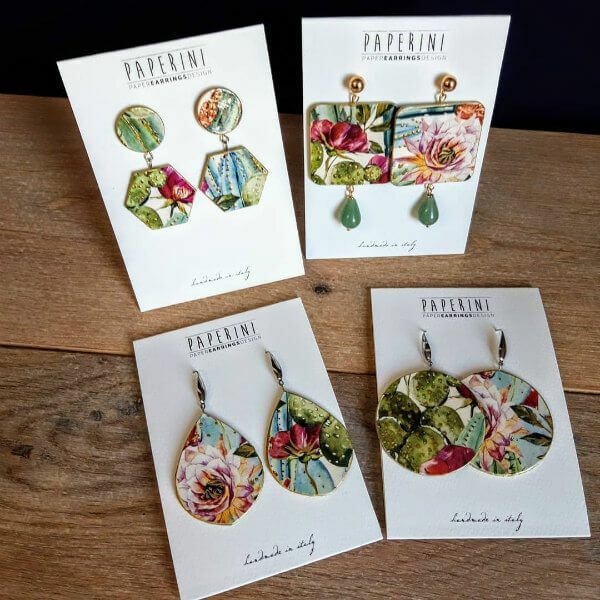 Francesca of Frasi Home & Accessories on Instagram and Etsy shop Paperini is a graphic designer in Biella, Italy with a passion for creating paper jewelry. 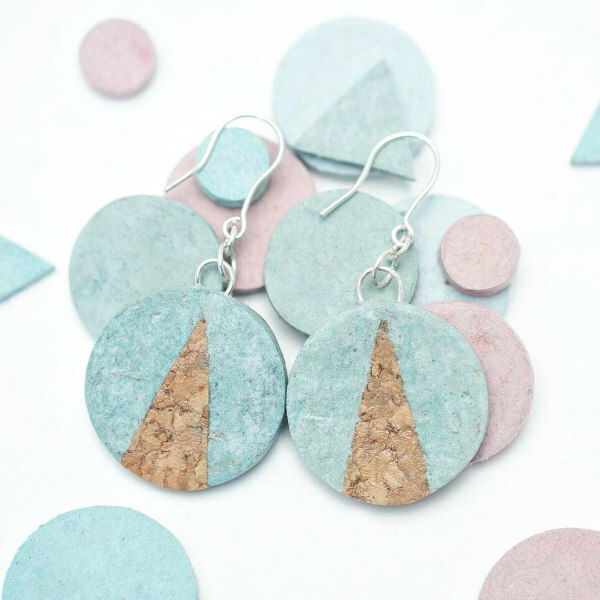 She and her sister-in-law Silvia work together using pretty papers and wallpapers combined with a variety of shapes to create stylish earrings. With romantic floral fabrics so popular in the fashion world this spring, the pretties above would be the perfect complement. I'm also admiring the watercolor look of this sea mood pair. 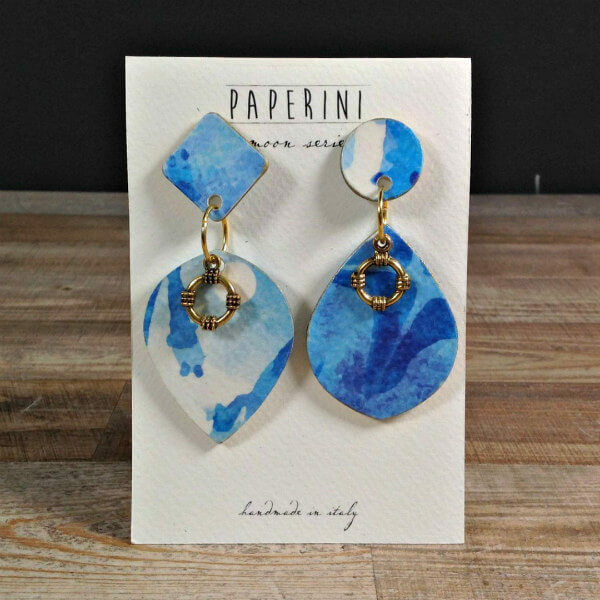 They are lightweight and water resistant, as are all of Paperini's earrings. Emily Banks of Paper Rose Crafts in London relies on recycled and upcycled materials to create jewelry and cards. 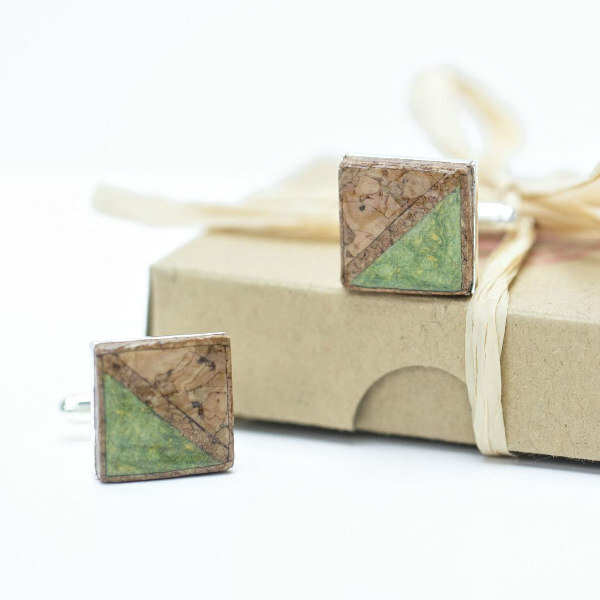 Here she's combined paper and wine cork with protective varnish and sterling silver findings to make elegant cufflinks and earrings. Even her packaging is thoughtfully eco-friendly. Emily "loves seeing a little pile of rubbish turn into something gorgeous to wear." She is on Instagram as @paper.rose.crafts and will indeed ship to the U.S. despite what her shop feed is showing at the moment, so contact her directly via the contact link on Etsy if you wish to inquire about making a purchase. And lastly for now, Erica Darlin of Etsy shop Deep Blue Notion in Columbus, Ohio delights in creating jewelry that reflects her love of the environment. 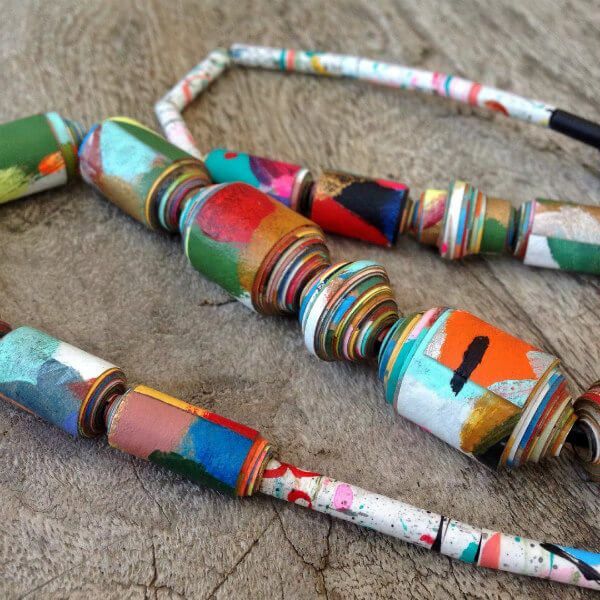 She rolls magazine pages to make paper bead necklaces, earrings, and bracelets in nature-inspired color combinations. 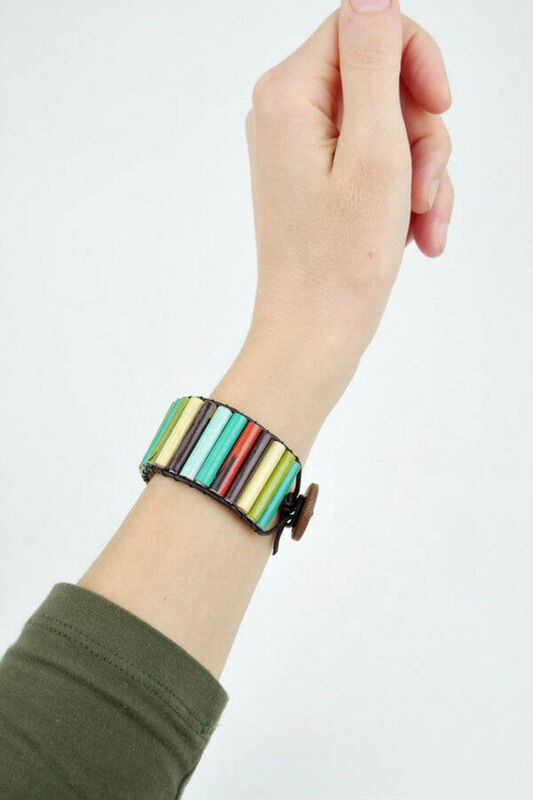 Her cuff bracelets with a button closure are handsome! See Erica's latest designs on Instagram and in the shop. All Things Paper is an AWIN affiliate.